kcmetromoms.com: Blue Bell's FREE Ice Cream Week In KC and a Sweet Giveaway! The month may be half over, but there's still plenty of summer left! 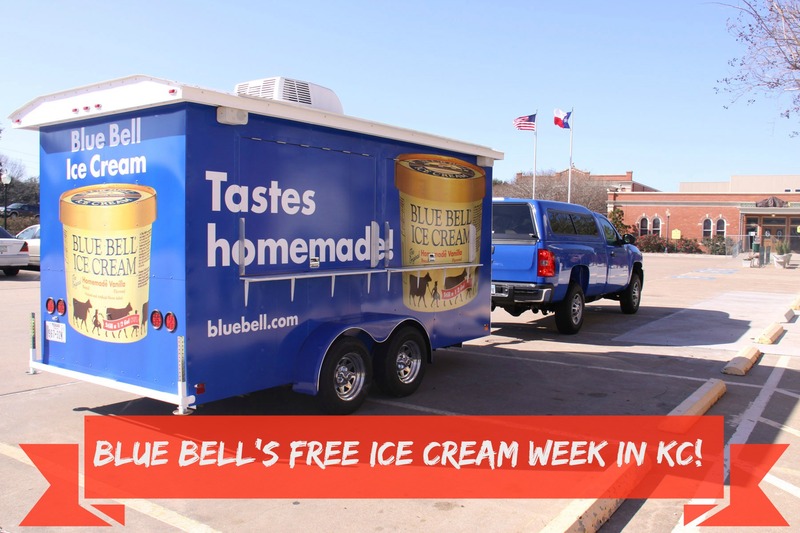 And the sweet folks at Blue Bell Ice Cream are celebrating National Ice Cream Month by giving Kansas City a week of fun events that feature FREE Blue Bell ice cream deliciousness! Blue Bell’s Week of Free Ice Cream starts Saturday, July 19 and ends Saturday, July 26. The week of free ice cream includes some special stops along the way including Kansas City's Big Picnic on National Ice Cream Day from 5 to 8 p.m. July 20 at Theis Park in Kansas City, Missouri coordinated in conjunction with Kansas City's Parks and Recreation. During Blue Bell’s Week of Free Ice Cream, everyone in the community is invited to sample the company’s newest creation, Magic Cookie Bar. The new flavor is a sweet ice cream loaded with graham cracker crust pieces, chunks of dark chocolate, roasted pecan pieces and toasted coconut, all surrounded by a caramel sauce swirl. What's not to love about that?! Cool off with a big splash and a Blue Bell Ice Cream treat at this free family-friendly community event with fun pool activities, games and refreshments. 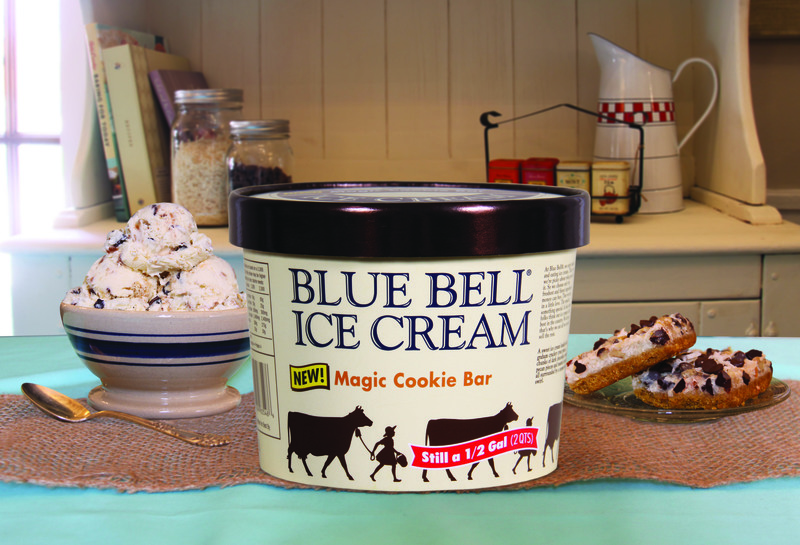 The Blue Bell team will hand dip its special National Ice Cream Month flavor, Magic Cookie Bar, from 10 a.m. to 1 p.m. Celebrate National Parks and Recreation Month as KC Parks partners with the Nelson-Atkins Museum of Art to host the biggest picnic the region has ever seen. The Donald J. Hall Sculpture Park and Theis Park will be linked to become a giant space for Kansas City to come together for an evening of fun. Attendees are invited to pack their own picnic, purchase a "picnic basket-for-four" from the museum, or grab a dinner from an on-site food truck. Blue Bell will be on hand to hand dip its special National Ice Cream Month flavor from 5 to 8 p.m.
Blue Bell will dip ice cream featuring the newest flavor in front of the store from 2 to 4 p.m. In celebration of one of Kansas City's most well-known chef's birthdays, the Blue Bell Ice Cream truck will offer free ice cream at the restaurant to local patrons during lunch. Blue Bell will dip ice cream featuring the newest flavor, Magic Cookie Bar, to all of Jasper's customers in the parking lot of his restaurant from noon to 1:30 p.m. Cool off with a sweet treat! Blue Bell will dip ice cream in front the Hy-Vee store and will feature the newest flavor, Magic Cookie Bar, from 2 to 4 p.m.
Blue Bell will become part of the experiment with the "Science of Freeze." Visitors can stop by and get a taste of the National Ice Cream Month flavor, Magic Cookie Bar, at the Blue Bell truck set up in front of Union Station from 10 a.m. to 1 p.m. All those who stop at the truck will receive a buy-one-get-one-free pass for Science City. Science City Educators will demonstrate "The Science of Freezing” at Science City from 1 to 4 p.m. Friday. Blue Bell will distribute its most popular flavor, Homemade Vanilla, during and after the game at Gate B. Pick up a scoop of Blue Bell’s newest flavor outside of Kansas Children's Discovery Center in Topeka, Kan., then take part in their very own Sunflower Games or participate in the American Institute of Architect's Big Build from 11 a.m. to 1 p.m.
Stop by the Topeka Zoo and cool off with a taste of Blue Bell Ice Cream. The Blue Bell Ice Cream truck will be set up at the entrance of the zoo from 1:30 to 3:30 p.m. serving the newest flavor, Magic Cookie Bar. Be sure and visit Blue Bell online and become a Country Club member, and receive a coupon for the next time you're in the mood for Blue Bell homemade ice cream. To help continue the fun celebration of summer, we're excited to bring you a sweet giveaway! Whether it's Blue Bell's new Magic Cookie Bar flavor, or any of the other delicious offerings, TWO winners will receive FREE half gallon certificates to take some yummy Blue Bell home to share and enjoy. 1. You must be a KCMetroMoms.com subscriber, or sign up now. 2. Leave us a comment sharing your FAVORITE ice cream flavor. 3. For a second entry, like our Facebook page and make a comment on this post. Two winners will be selected at random and notified via e-mail and announced in our Weekly e-News and on Facebook. Good luck! pistachio is my all time favorite but i havent met an ice cream i didnt like! Currently loving Mocha madness! The rest of the family can't get enough of Lemon Bliss!